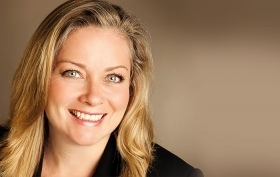 Linamar CEO Linda Hasenfratz's company is based in Guelph, Ont., and is a global supplier of powertrain and other components, employing 12,000 people in Southern Ontario. Congratulations on your victory in the United States Presidential race. I am confident in your success as the leader of the United States because I believe your experience as a successful businessperson means your leadership will be fact-based and decisive. I write to you in support of the very long relationship of open trade between our countries. Canada and the U.S. have long supported each other in terms of integrating trade across our borders. In many ways our countries’ collective success is inextricably linked. The automotive industry in particular is highly interwoven between our three countries. The average auto part crosses a border seven times before finding itself in someone’s garage. Imagine the added cost to add tariffs seven times along the way, not to mention lost technology and global competitiveness if tariffs restrict utilization of great companies in all three countries. Canada and the U.S. signed the Auto Pact to allow free trade of vehicles and components across our borders in 1965, more than 50 years ago. The Canada-U.S. free trade agreement in 1989 expanded our cooperation to all sectors and the inclusion of Mexico in 1994 through the establishment of NAFTA created an economic and technology rich powerhouse in many sectors to allow North America to compete on a global stage. Billions of dollars of trade cross our borders each year. Many Canadian and Mexican companies have invested billions in technology development and infrastructure investment to support our American customers. Many American companies have done the same to tap into markets in both Canada and Mexico and globally. The U.S. exports more product to Canada than any other country in the world. Mexico also accounts for a significant portion of the U.S. export market, in part due to a growing middle class in Mexico hungry for U.S. goods thanks to economic prosperity in the country created by NAFTA. Canada and Mexico have fantastic technology that significantly enhances U.S. products for domestic consumption and export around the world. In the automotive sector Mexico is a global leader in complex aluminum casting, a key element in vehicle light weighting which is a significant global trend. Access to this technology is key for American made vehicles to compete on a global stage. More than 80 per cent of the world’s automotive industry is outside of North America, it is critical for our automakers to be able to compete for global market share. Canadian automotive companies are global leaders in highly precise technologically, sophisticated machining, fabrication and assembly operations, from gears to camshafts, cylinder heads and blocks to seating, lighting, hydroforming and stamping. Our products are driving technological advances for American-built vehicles to compete globally for more market share by making them lighter, more fuel efficient, safer and more comfortable with better connectivity. Of course U.S. automotive companies are similarly creating fantastic technologies and products that collectively with those of Mexico and Canada are allowing us to build great vehicles and grow market share. More broadly, Canada has evolved into a technology powerhouse in many industries. Our Waterloo-Toronto corridor is second only to Silicon Valley in terms of the incredible innovations and thousands of companies in the high-tech world operating there. The Perimeter Institute is doing fundamental research and thinking in theoretical physics that I have no doubt will change our world dramatically over the next 100 years. The Institute for Quantum Computing is similarly developing groundbreaking technology evolutions. Toronto is ground zero for artificial intelligence and machine learning; innovators in this field did pioneering work right here in Toronto and the world is coming here to learn from them. This technology is changing the face of manufacturing in the future to make it safer, more efficient and drive better quality, all key to global competitiveness. A massive ecosystem is developing in this province to drive that evolution. NAFTA has provided millions of jobs in all of our countries and created tens of billions of dollars in trade. Let’s work to sustain that, enhance it and use the might and minds of all our countries collectively to grow North American exports to the world. Let’s together make North America great.